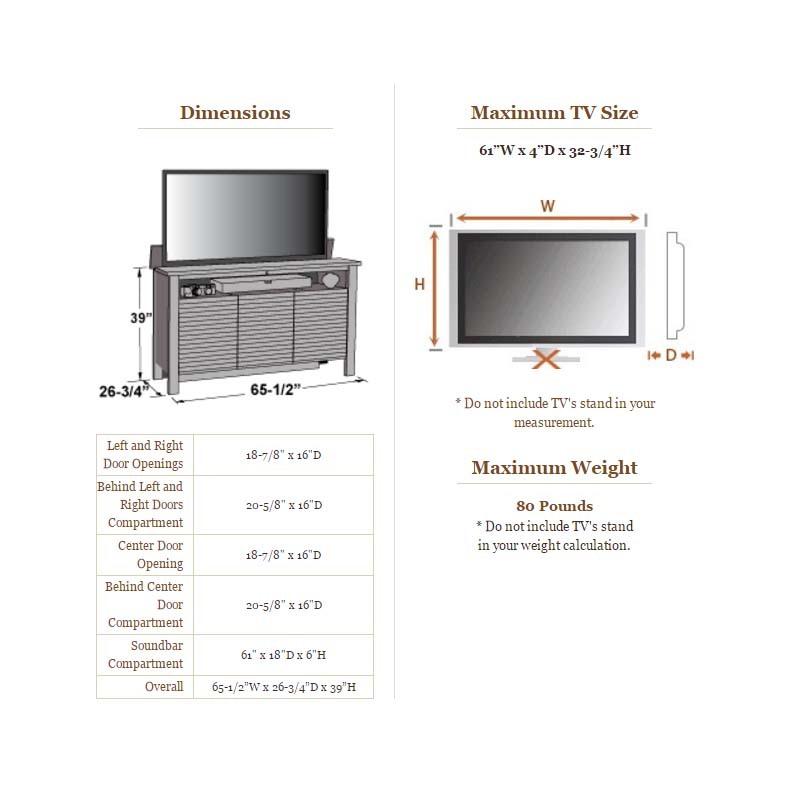 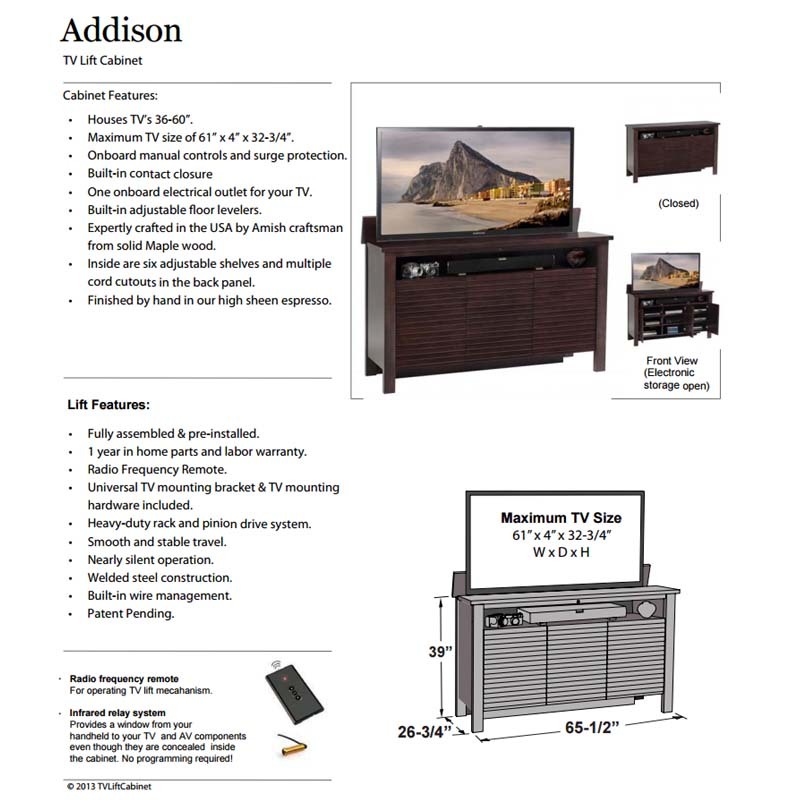 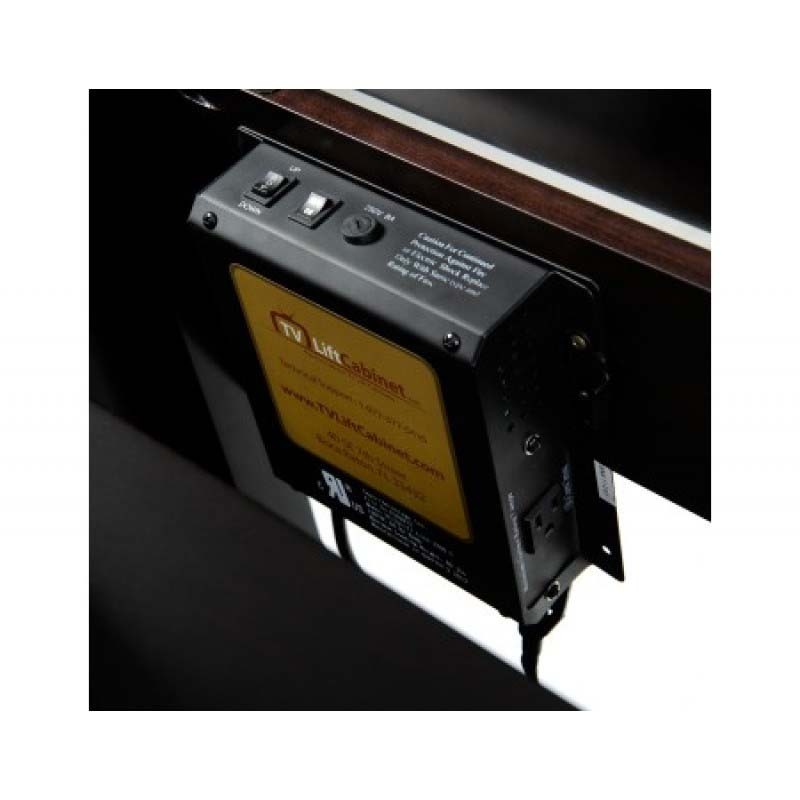 More on the TV Lift Cabinet Addison TV Lift for 36 to 60 inch Screens (Espresso) AT006520 below. 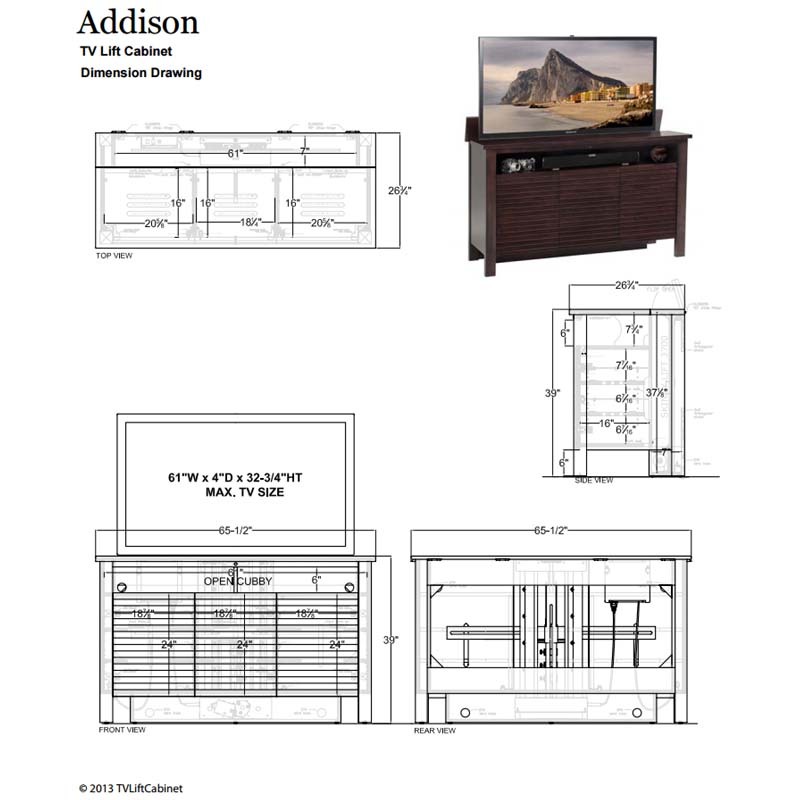 Old world craftsmanship meets mid-century modern in a new minimalist classic in this beautiful Addison TV Lift Cabinet. 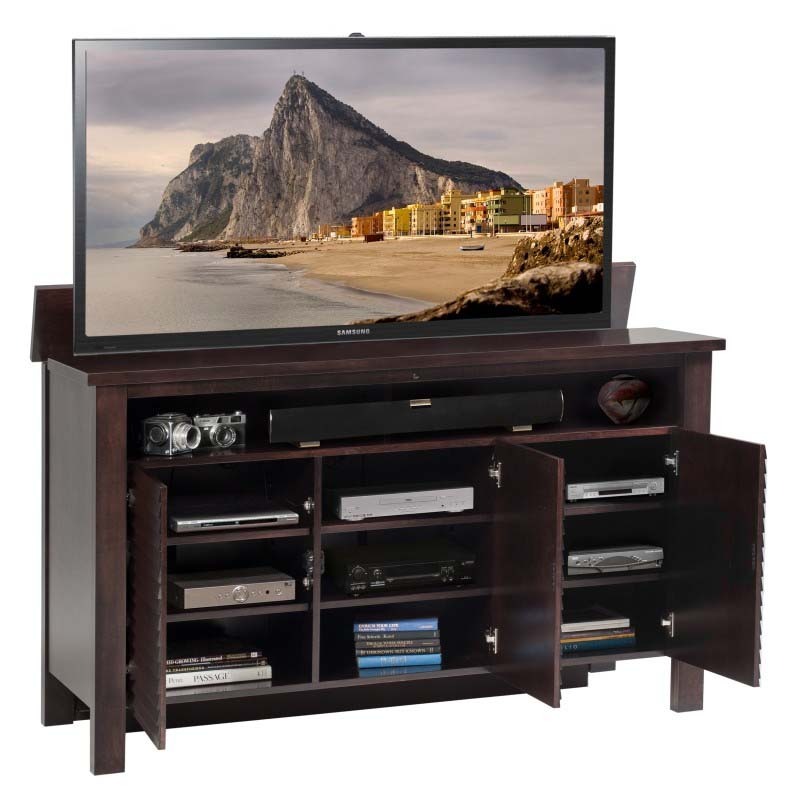 Crafted in the USA of solid maple wood with traditional wood-on-wood joinery technique. 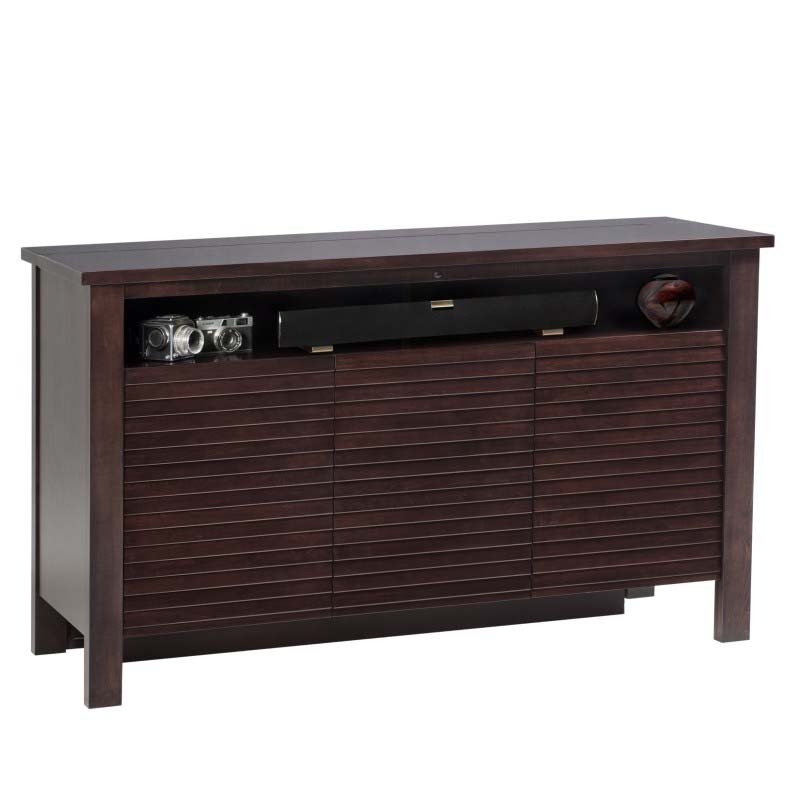 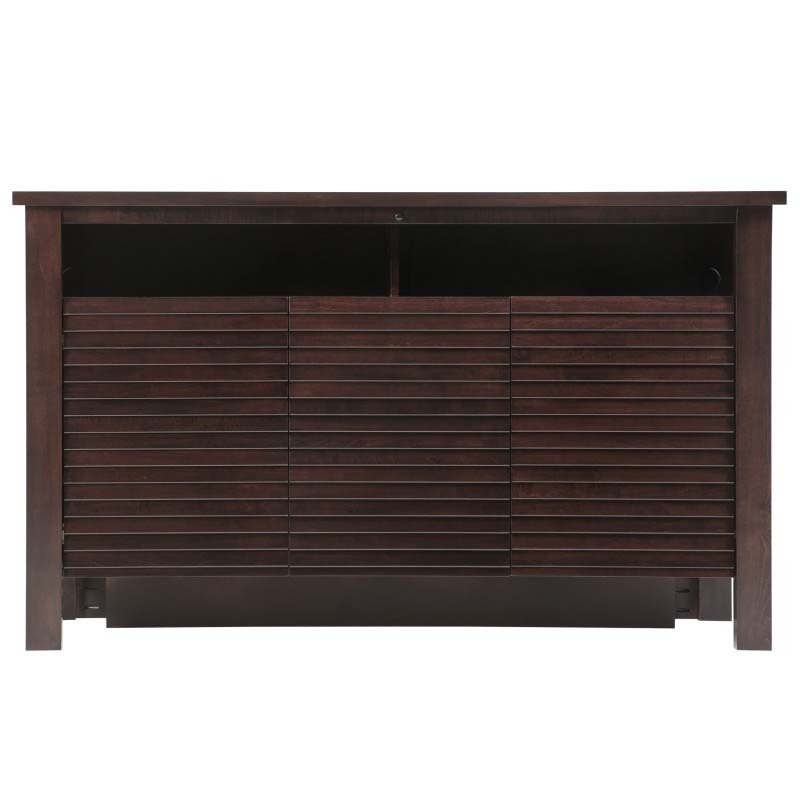 The Addison combines generous media storage with striking clean lines. 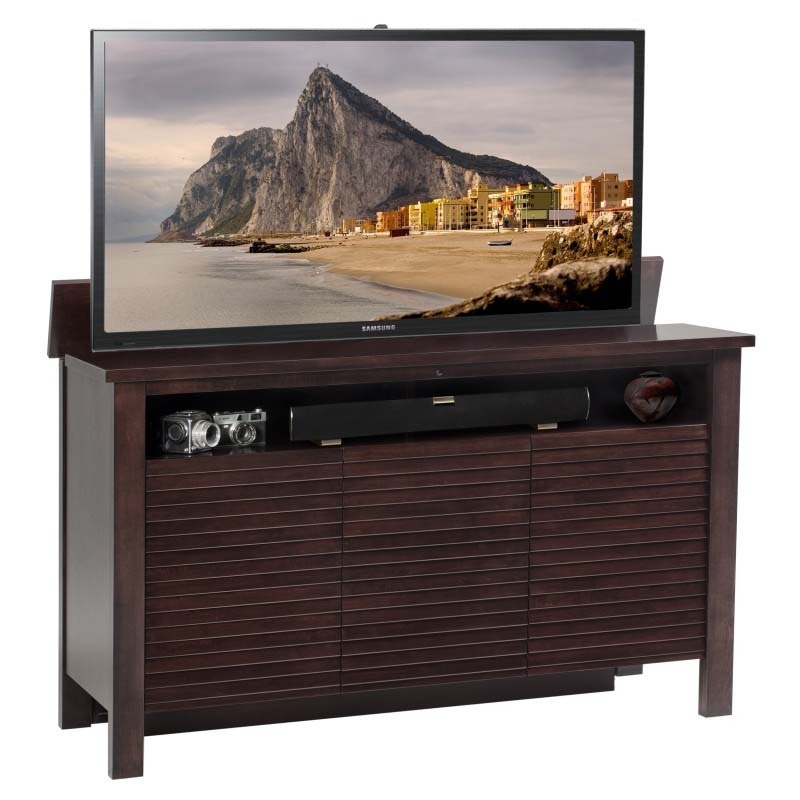 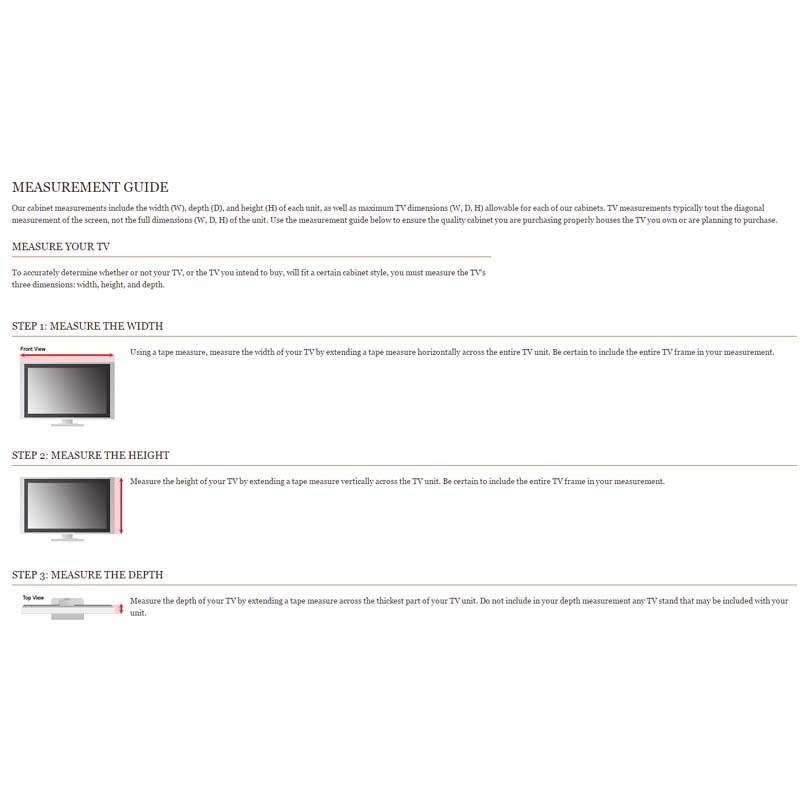 Handsome 65 inch wide console accommodates most flat-panel TVs up to 60 inches. 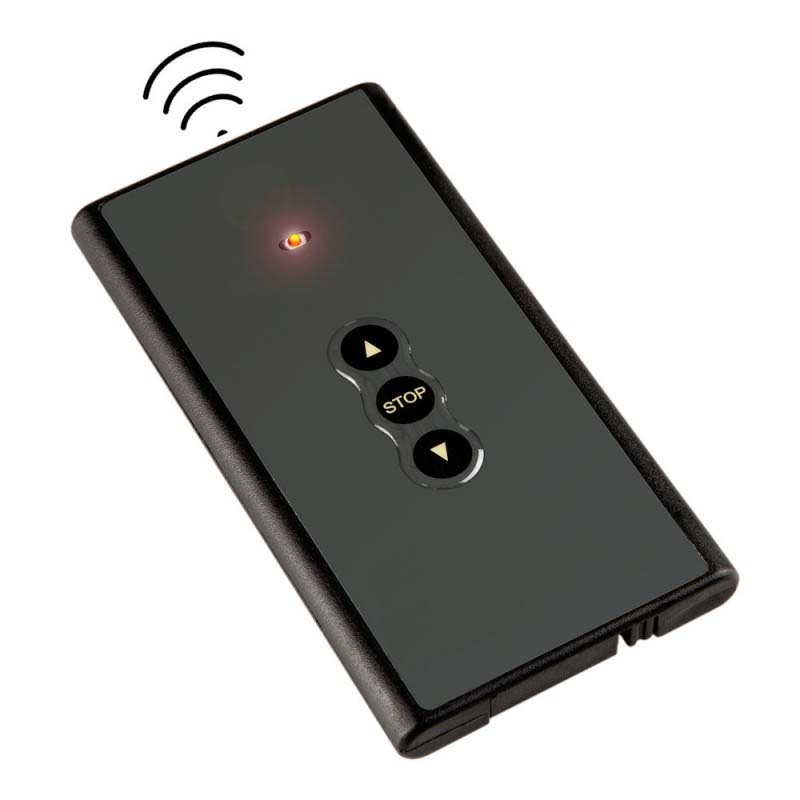 Clever slatted doors and a built-in infrared system allow for easy remote control signal access to electronics. 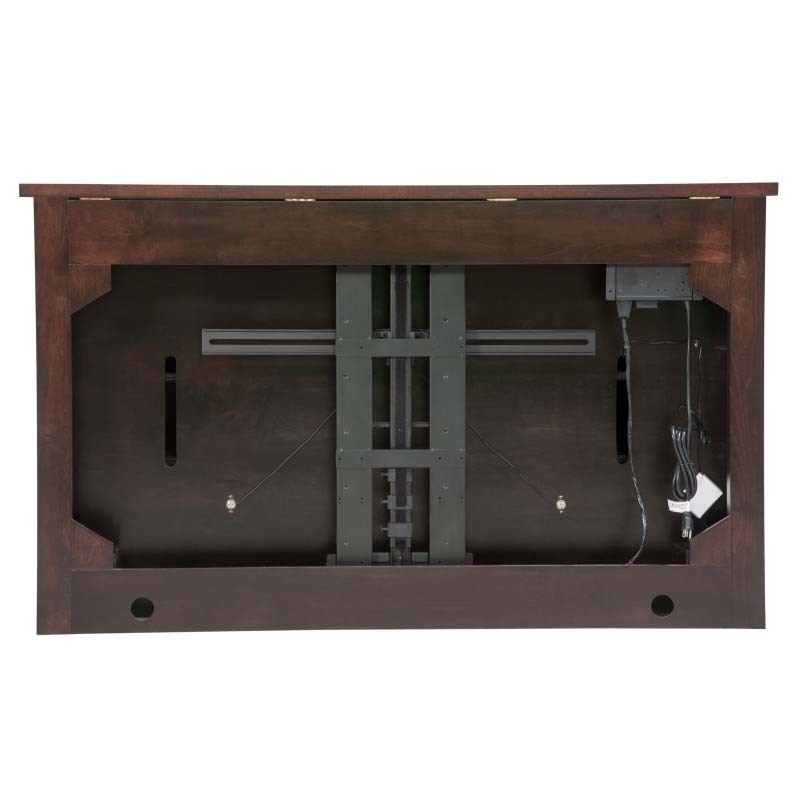 Inside are six adjustable shelves and multiple cord cutouts in the back panel.